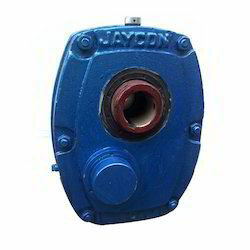 Pioneers in the industry, we offer SMSR gearbox such as anti reverse SMSR gearbox, anti lock SMSR gearbox, backstop SMSR gearbox, jaycon SMSR gearbox and non reversible SMSR gearbox from India. 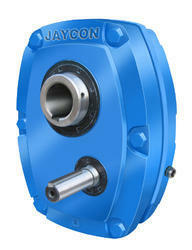 We are offering Backstop SMSR Gearbox to our clients. 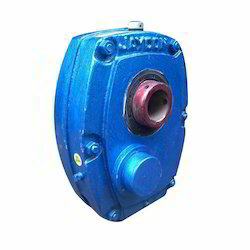 We are the pioneer manufacturer of Fenner Type SMSR Gearbox and introduced for the first time in the market of Gujarat in the year of 1974. 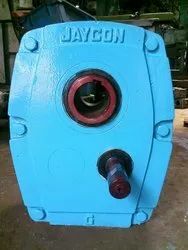 Since then, JAYCON SMSR Gearbox has been the market leader having been used in many industries such as Textile Processing Machinery, Chemical Plants, Mini Cement Plant, Road Construction Plants and Crushing Plants. 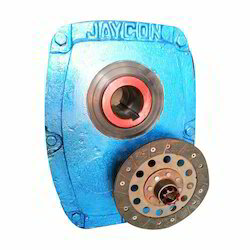 JAYCON SMSR Gearbox are totally enclosed and consist of hardened & precision machined Alloy Steel Gears mounted on highly finished shafts supported on long life Bearings of capacity to take maximum load. Two piece close grain C.I. housing provide sturdy support and insures permanent accurate alignment of all components. Ratios These 5 sizes may have nominal ratios 051, 131, 201. 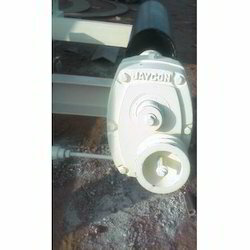 Holdback (Antilock) Gearbox shall be designed on request.